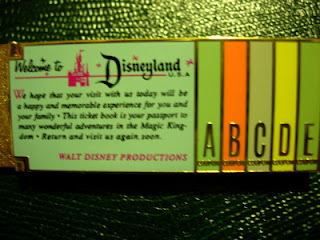 This is a Disneyland Ticket Book Pin, created to celebrate Disneyland's 50th Anniversary. This pin was a Disney Cast Member Exclusive, and part of an Limited Edition of 3000 Pins. I had to buy 2 of these pins, I liked it so much. 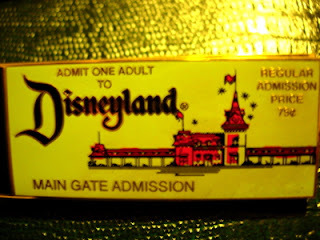 I used to love the look of the old Disneyland ticket books, so I'm glad that they made a great pin in honor of them.